Born on February 12, 1809 in Kentucky, and having become the 16th President of the United States, Abraham Lincoln introduced measures that resulted in the abolition of slavery, issuing his Emancipation Proclamation in 1863 and promoting the passage of the Thirteenth Amendment to the Constitution. 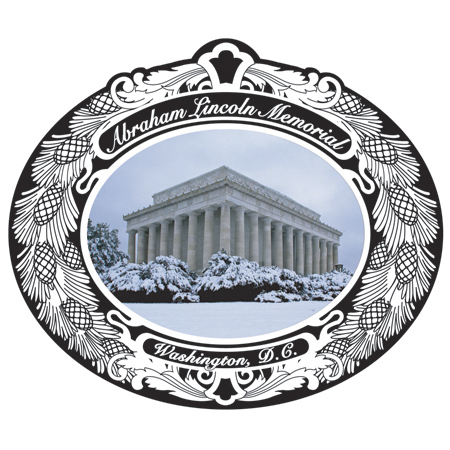 The Lincoln Memorial is a United States Presidential memorial built to honor Abraham Lincoln. Completed in 1922, the memorial is located on the National Mall in Washington, D.C. The architect was Henry Bacon, and the sculptor was Daniel Chester French. The 36 columns required for the design were seen to represent the 25 U.S. states at the time of Lincoln's death plus the 11 seceded States. Their names were inscribed in the entablature above each column, later, the names of the 48 states of the Union when the memorial was completed were carved into the exterior attic walls. A 19 foot-tall seated statue of Abraham Lincoln looks out across the reflecting pool from within the temple.